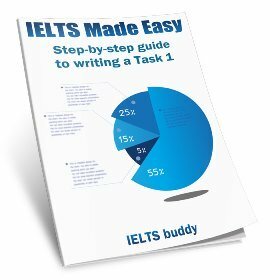 I am due to take my IELTS test in a few weeks and I am really worried about Writing Task 2. I'm worried I won't know enough about the subject they are asking me to write about. I have looked at a few practice papers and they are all subjects I feel I couldn't write well about. There has been no mention of supporting information sheets on these topics. Is there any? How has everyone else dealt with this? Any help/opinions would be much appreciated. 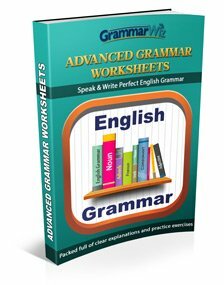 You are not likely to find worksheets specifically geared towards the kinds of topics you will get for your essay (except in coursebooks related to IELTS, but they of course can't cover anywhere near everything). IELTS tend to pick the kinds of issues that are topical around the world today, or things that always arise as issues. - Who should pay for education? - Should girls and boys learn together (coeducation)? - Should homeschooling be allowed? All those kinds of things are topics that are discussed by people, the government, newspapers etc now and again in most countries. So as part of IELTS it is useful if you have a basic knowledge of the kinds of issues that are going on around the world (though you won't ever get asked directly about emotive things such as war, politics or religion). This would be expected of you if you were a student at most English speaking universities as you would need to get involved in discussions as part of your studies. 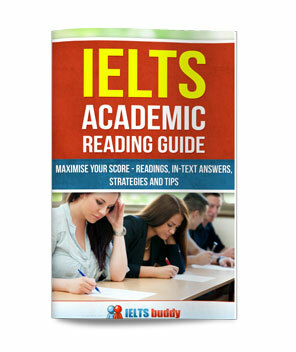 So by reading around and learning about current issues for IELTS, you are also preparing yourself for university. 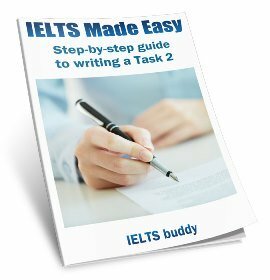 You need to improve your reading for IELTS anyway, so read about the kinds of topics that come up in the writing test. But that said, you are certainly NOT expected to be some kind of expert. Remember you are getting graded on your Grammar, Lexis, and Coherence and Cohesion for 75%. You are also getting graded on Task Achievement (25%) which is about how you answer the question and how you support your ideas. So you are expected to brainstorm ideas that answer the question and to explain them. But the idea is up to you. It must be related to the question and be coherent but the examiner can't mark you down because they don't think it is 'clever' enough. As long as it is clearly explained and is related to the question then that is fine. So don't get stressed about being an expert on all the different topics or waste time in the exam trying to come up with the perfect idea. As you don't have much time, what is more important is being able to quickly brainstorm some ideas and some support for them rather than those ideas being amazing. Of course if you do know about the topic you are lucky. But some people who do know about the topic may not do well if they misunderstand the question or don't organise their ideas well. So knowing about the topic is no guarantee of a good score. Practicing writing is more important. - The important thing is about how you PRESENT your ideas, not that they are showing you to be an amazing expert on the subject. Thank you for sharing your techniques. Hopefully I would do better in my upcoming test. That's very helpful, Thanks a bunch. Thank you for your valuable and worthful response in direction. If I may, I would like to share my experience with friends over the subject. I start by saying kindly that you can not be developed to take the IELTS exam by studying English Language only for one two months. I believe, as it has been mentioned the contemporary general information is the magic in all skills, either it's scientific or social. Although, preparation for the IELTS exam requires a candidate to have at least Minimum of UPPER intermediate level of English Language. Furthermore, once, the candidate has gone through countless practice, based upon their knowledge, in the case of any unfamiliar topic they can use their imagination while brainstorming to come up with the relatively qualified answer. Thank you very much that has made me feel a lot better. I have taken everything you said on board and I will broaden my reading material on the run up to the test. Thanks again. I have the same worries like others about this test especially task 2. Thus, I hope if there is a common template base with blanks in between that is useful for all subjects (or at least most of them) to help the students design their ideas accordingly by filling the blanks only with suitable words. This will help in reducing the time consumed and to fit the required design of the assay accordingly. You are not likely to find something like that as there are various types of essay question and they require different approaches to answer them. If your thinking about problem and solution essays, don't worry. You're not going to be asked to write about the problems created by some obscure issue and then suggest solutions. The problems created by the legacy of socialism on post-communist Mongolian agriculture policy won't appear on the test. I suppose it's more of a concern on an opinion essay. How should you know to what extent you agree or disagree with a statement, or whether the advantages outweigh the disadvantages on a topic you've never given a second to in your life? Me personally, I don't have an opinion on MOST issues facing the world today. However, keep in mind that most IELTS experts would tell you that it's probably not a good idea to say that you have no opinion, that you neither agree nor disagree or that you equally agree with both sides. That's okay to do "in a discuss both sides and give your own opinion question" when asked in the rubric to pick a side, just pick one and go with it. Just ask yourself "if I were someone who actually had an opinion here, how would I best support my argument write?" There's nothing in the IELTS rules that says you have to be truthful!